Looking for a Cookery Class or food experience in Aberdeen City or Shire? Learn a new skill in cooking, baking, butchery, chocolate, BBQ, breadmaking, fine dining, vegan, plant based and more with one of these providers or tutors. Public classes, corporate team building, children's cookery classes, private lessons, confidence to cook, chef for a day, kitchen hire, birthday parties - there's something to suit every taste and budget. Please do let me know of any other Cookery Courses or Foodie Experiences in Aberdeen City and Shire that I've missed as I'd be happy to include them in this listing. CFINE's fully equipped modern training kitchen in Aberdeen offers professionally led cookery courses. 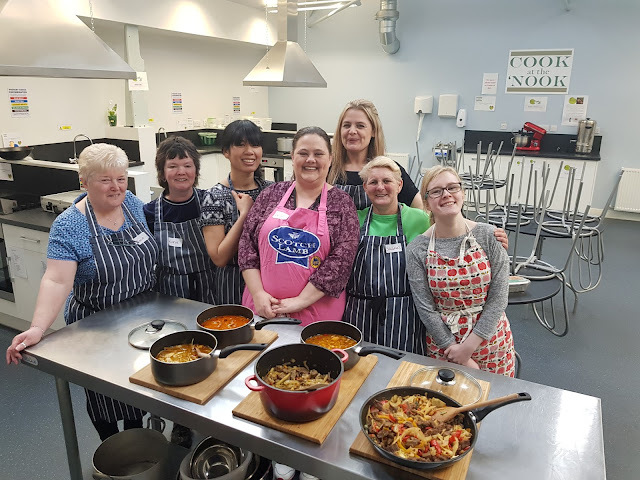 Each class is run by a trained chef/food enthusiast who will guide you in the art of cooking in a number of disciplines including Indian Cookery, Modern Scottish, Fine Dine and Italian Cuisine, sharing their skills and experience in a hands-on environment. Trainees will leave ready to impress friends and family with a host of newly acquired skills. We offer a range of options for your staff team to get involved as part of a team building away-day. The activities can be suited to your needs and are fun and informative, and can prove eye-opening for participants. The day can be arranged around a number of themes including food waste and food poverty/insecurity. · Scenario based challenges like budget planning/cooking on a very low income. What services can we offer the community? The Bread Maker is a commercially focused social enterprise. Situated in the heart of the city it offers a very unique course taking participants through the bread making process. 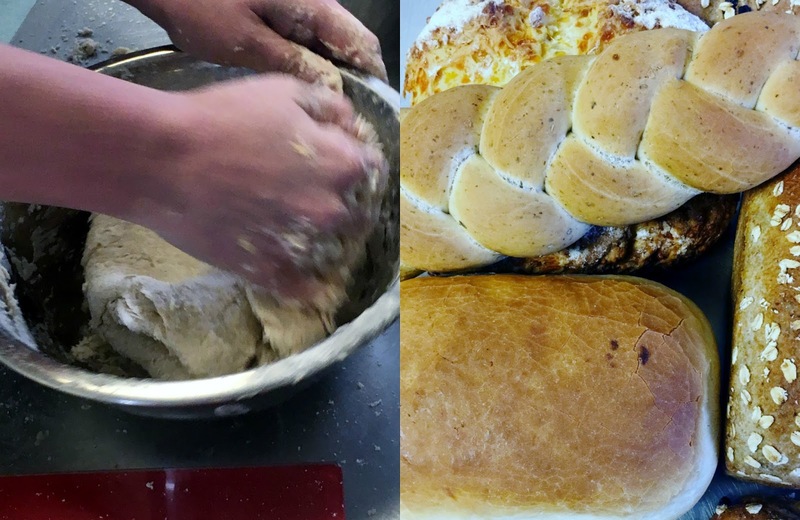 The course covers every aspect of bread making from scratch, including hand mixing, proving, finishing and firing. Breads covered are un-yeasted breads, various whites, wholemeal, ciabatta, foccacia and pizzas. Garioch Community Kitchen is a Scottish Charity that provides practical cooking sessions for members of the local community. 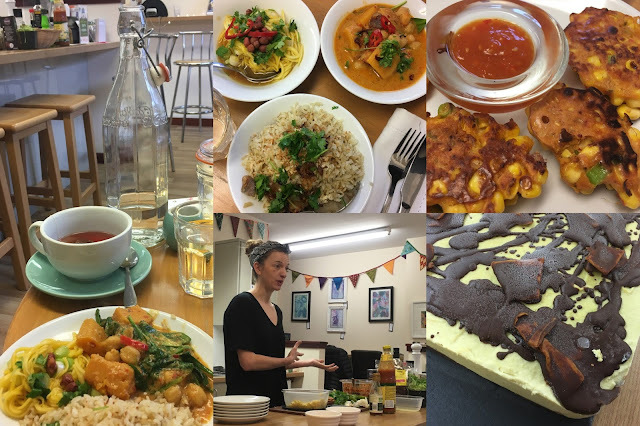 The Mixing Bowl is a community food interest group that meets monthly for talks, tasting, demonstrations and cooking workshops. The events are run by local food enthusiasts. I love teaching; my style is “hands-on” workshops hence the groups aren’t more than 8/10 people (depending on the type of class). 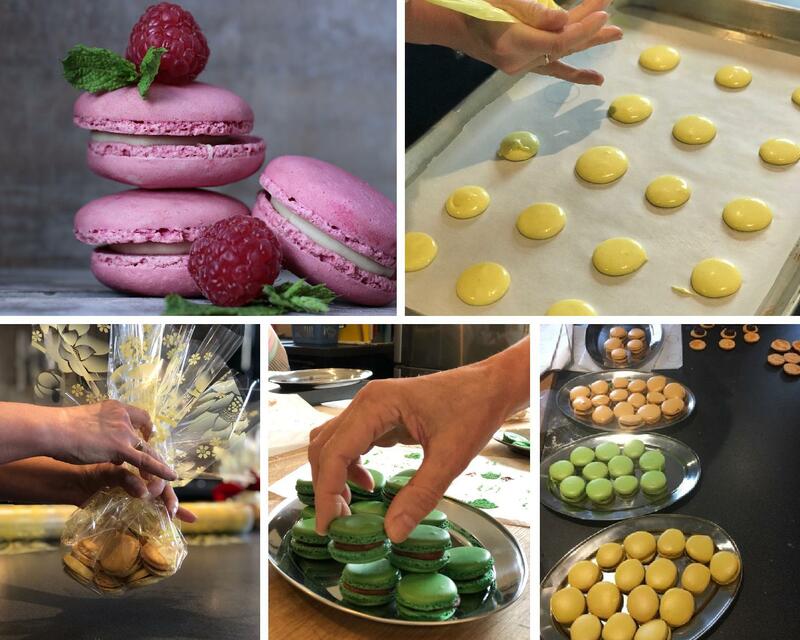 Best selling class is Macarons: people will learn all the tricks of the trade and they are able to reproduce this beautiful delicacy. All my classes are open to any skill level. GLUTEN FREE: I finally nailed the right flours combination that allows me to prepare the best fresh gluten free tagliatelle and pizza. ITALIAN BAKERY: Ciabatta bread and Pizza, restaurant style. ITALIAN DESSERTS: Tiramisu, almond Biscotti and Amaretti. PASTA PARTY: how to prepare fresh pasta and learn how to use the pasta machine. Preparation of three sauces: tomatoes, basil pesto and Bolognaise. CONFIDENCE TO COOK: open to THREE students only. Allows me to run almost a 1 to one class. It’s perfect to who has a very low confidence on cooking. My program covers all the possible skills. We will start from knives skills and then bakery, pasta and sauces making, puddings. Come and try our tasty chocolate making workshops with our master chocolatiers. 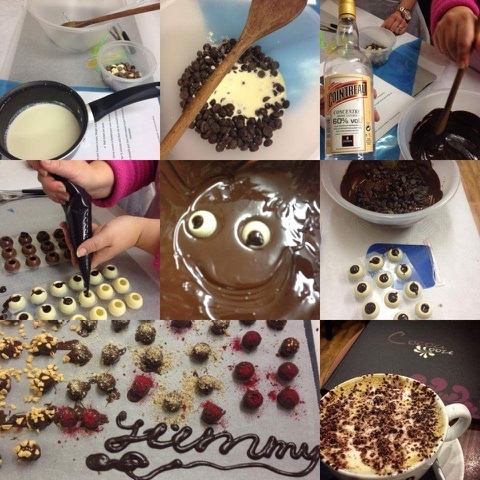 Whether it's someone's birthday, hen party, girls day out or just an excuse to get together and learn the art of chocolate making, Cocoa Ooze can cater to all occasions. You and your group will learn how to make truffles & chocolate bars and experiment with flavours. Taste testing is a crucial part in making the chocolates so you will be delighted to hear that we do encourage this. Whatever you make on the day you will be able to package and take home with you. 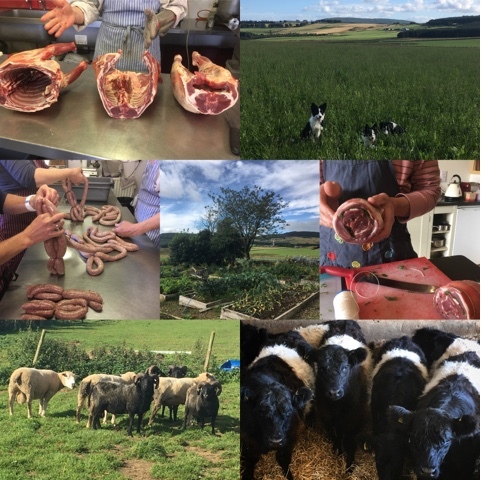 That is of course if you don't eat it all at the workshop..
Wark Farm is offering vouchers for half and whole butchery and meat cookery days, giving you the opportunity to test your knife skills, learn more about how to cook different cuts and find out what's involved in rearing organic sheep and cattle. Offering a unique experience for people of all cookery skills and abilities the Chef for a Day package gives you the opportunity for some one-to-one tuition and the chance to experience the buzz and excitement of a busy professional kitchen; learning new skills and techniques, whilst producing mouth-watering dishes which can be re-created at home. The day starts with a chat with Craig Wilson, owner/proprietor, following this you will meet with the kitchen brigade and then will be put to work helping to prepare for the busy lunch and dinner services. Group courses start at £75 and include a delicious lunch. 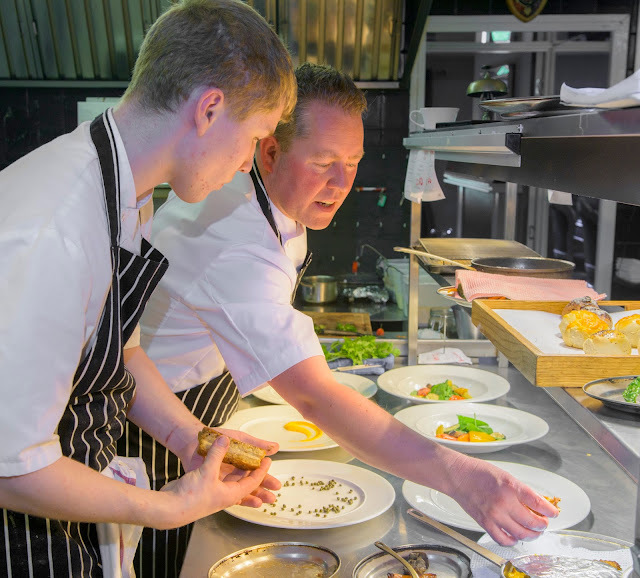 Private lessons are tailored to your own foodie interests and tastes, and prices start from £150 plus ingredients. 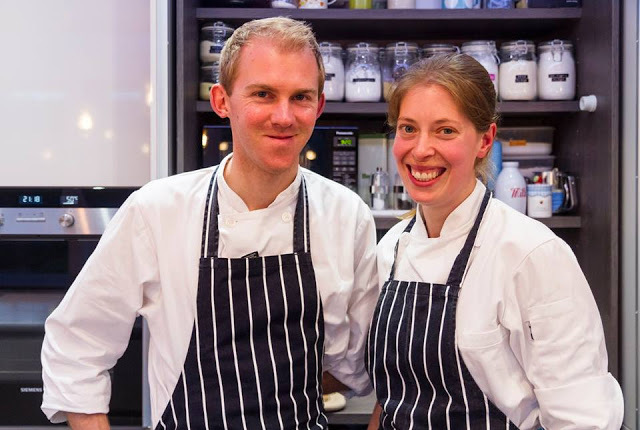 Louisa and Rupert were teachers at Leiths School of Food and Wine in London before moving up to Aberdeenshire in 2015. 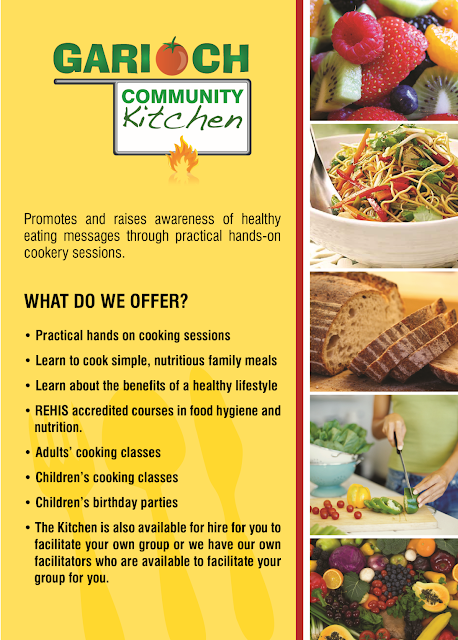 They currently run Kincardine Cookery, a private catering company, that also offers cookery teaching. They run regular courses throughout the year at Kincardine Castle and can provide private lessons for individuals or small groups in your own home. Courses cover everything from how to chop an onion to advanced pastry, bread and butchery skills. Nicola and Jo's plant-based classes are held once a month at No1 in Banchory in beautiful Deeside. The classes are aimed at those who want to learn more about plant-based cooking and desserts. 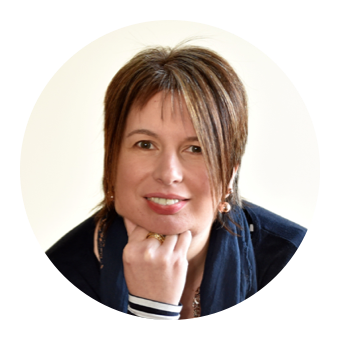 Nicola has cooked her way around the world bringing international flavours to your plates and Jo runs Jo's Healthy Cupboard and has been making healthy treats and desserts for over 3 years. Neither are trained chefs but both extremely passionate about plant-based and healthier cooking. At a brunch & learn workshop you will watch as Nicola and Jo prepare delicious savoury and sweet treats with a different theme each month. Guests also get to eat their food in a relaxing and fun environment. Everyone goes home with the recipes to make delicious plant-based food at home. 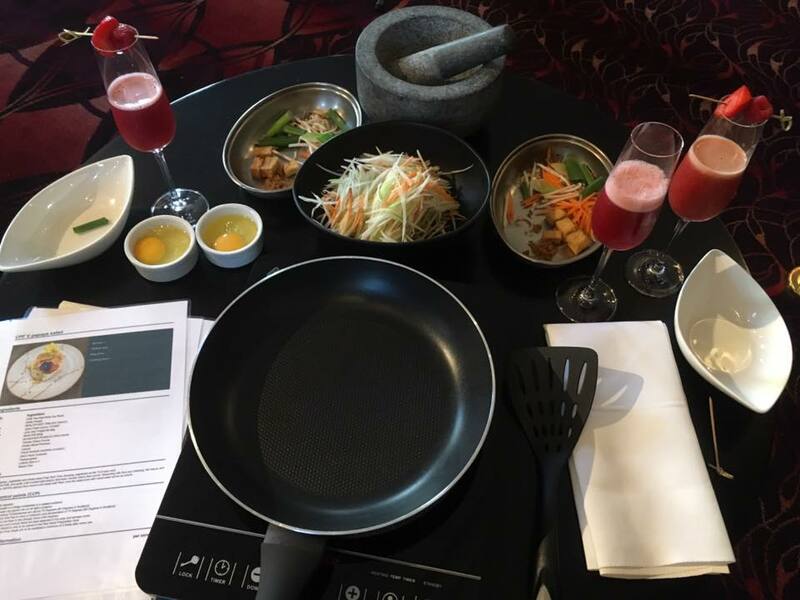 Our Cookery and Cocktail classes run every Sunday at 10am and can hold up to maximum 15 people. 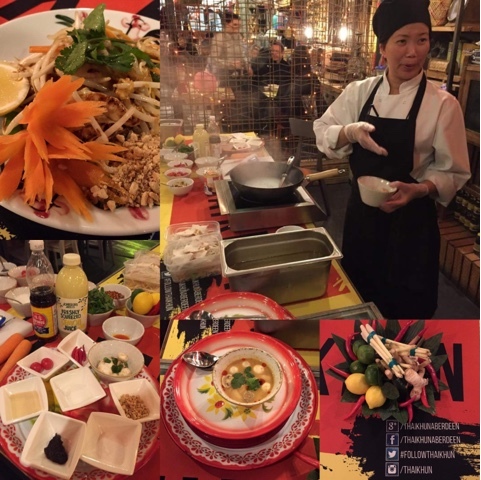 Course includes - One cocktail (Coconut Mojito), two courses, recipe cards and a Thaikhun apron. Sessions run every Sunday at midday. £69 per person. 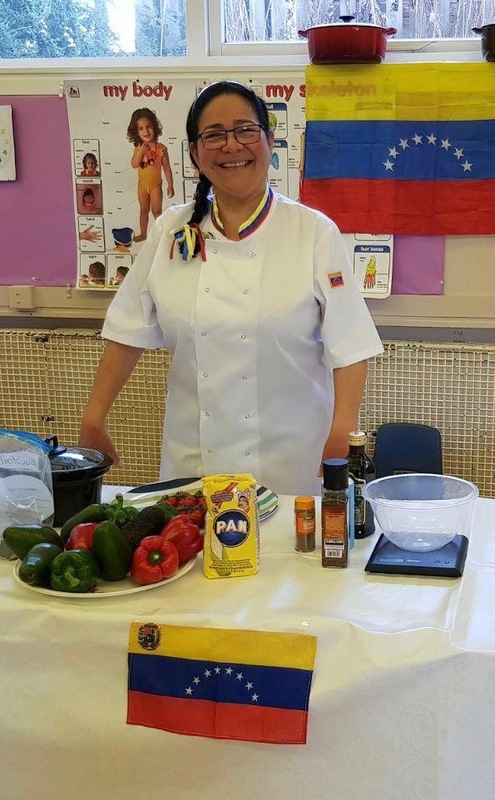 Originally from Venezuela Shirley has lived in Aberdeenshire since 2003. 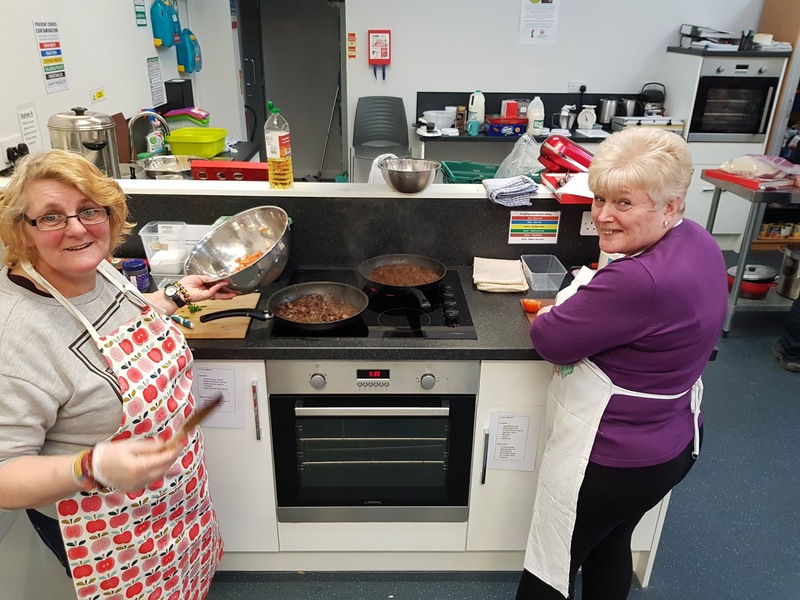 Cooking workshops are held mainly at Number One, Banchory AB31 5SE. Workshops usually last 2 hours and the cost per person is £30. I am not a trained chef, just a Mum who loves to cook and enjoys teaching others. I just want to initiate people into the world of the Arepa, perhaps the most famous and loved dish of the Venezuelan cuisine. During the workshop, participants will have the chance to learn more about the origins and evolution of the Arepa and actually prepare it along with the 3 most popular fillings. We would also enjoy a traditional Venezuelan homemade lemonade and time permitting we'll learn how to prepare some quick side dishes/tapas. After the workshop, we would all enjoy the product of our efforts. At-home cooking sessions, hen parties and Birthday cooking parties are also available. Arepas are gluten-free, and very versatile, which allows you to adapt it to a vegan or vegetarian diet. Part time courses to help you master the art of recreational cooking and baking. Subjects include breadmaking, cake decoration, can't cook need to cook! fine dining, Thai, Japanese, Indian, Itallan, Scottish, gluten free, vegetarian, home baking, desserts and more. This post was originally published in December 2016 and revised May 2018.